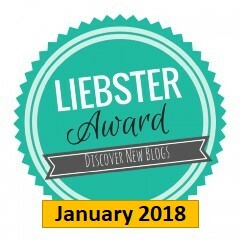 22 Jan 2018 Teresa B.
I’m both excited and honored to accept The Liebster Award! 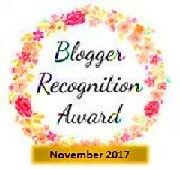 I was nominated by HEALTH & WELLNESS: THE GOOD ENERGY, a blog filled with great articles and reflections meant to inspire. Thank you for nominating me. The article “Change is Good” is a fantastic example of the kind of content you will find here. It’s inspiring and uplifting. I currently reside in Houston, Texas – probably one of the greatest cities to live in. What I love most is the diversity of the city. Houston is proof that no matter the religion, the culture, the skin color, or any number of things that make us all unique, we can live together peacefully and respectfully. What has inspired you to start writing? My English professor during my first degree opened me up to the world of writing during a creative writing course. I was the tender age of 22, and that course impacted me in a way I never expected. Over the years, my inspiration to write has grown, and now, I write from the heart. I write because I have something to say, and I hope my what I have to say in my writing will make a difference to another, even if it is just one person. My blog, Armed with a Keyboard, is a place of candid reflection, honesty, and inspiration. I write to help others realize they are not alone in the world. That it is okay to be who they are. That they can learn from the events of their lives, whether those be good, bad, happy, or filled with sorrow. That each person in the world has a place, and they are important. They have value. Give one phrase that expresses your intentions to reach out to the world? Rejoice in who are, and live your life on purpose. If you can choose anywhere in the world to visit, where and why? I would love to go to the Bermuda Triangle because I’m enthralled by the mysteries of this world. It’s one place where the unexplained lives and generates spooky stories. I don’t subscribe to the idea that terrible things happen there, but the unexplainable disappearances pique my curiosity. My family inspires me. My husband, Todd, because he not only served his country, but he battles PTSD each day, and each day he overcomes it. My daughter, Kit, because despite her physical limitations, she never quits and never makes excuses for herself. My son, Carl, because he is what I have always dreamed would be a wonderful father and a person filled with character. My son, Ben, because he has been brave enough to face his own personal demons, and choose to change himself for the better. And finally, my mother, who did what she had to do, not matter the size of the obstacle she faced. Name a hobby you enjoy? I enjoy quilting. I’m no expert by any means, but cutting the squares, sewing them together, and building something that will surround those I love with warmth relaxes me. Spring is my favorite season. I was born in the Spring, so each year, after the bitterness of winter falls away, and the world around me comes to live in shades of green, skies of blue, and soft rains, I’m rejuvenated. Name one good quality about yourself? One quality I have that I’m most proud of is my honesty. I don’t sugar coat things. I don’t beat around the bush. I say what I mean, and I always mean what I say. What is the one thing you most want to do in your life? Dear Teresa, Congratulation from the bottom of my heart! Well deserved! It humbles me that you nominated me. Thank you so much! Thank you. You certainly deserve the nomination. You write wonderfully. Thanks for your wonderful answers!! Thank you. And I look forward to reading your post.